After a Saturday morning checking off the honey do list, you can really work up an appetite. Once that sweat was properly worked up, tacos just sounded good and with Salsa Limon’s new location opening up on university by TCU it just seemed like fate. Despite the beginning of this post, this is not a restaurant review. In the new salsa limon I was pleased to see that they had craft draughts available. Granted there were only three, they clearly operated under he quality over quantity as they had some good choices. I decided to go with the Karbach Staycation. The beer was perfect for the morning I had. After a morning of working out in the sun, it tasted great to have a lighter session beer. 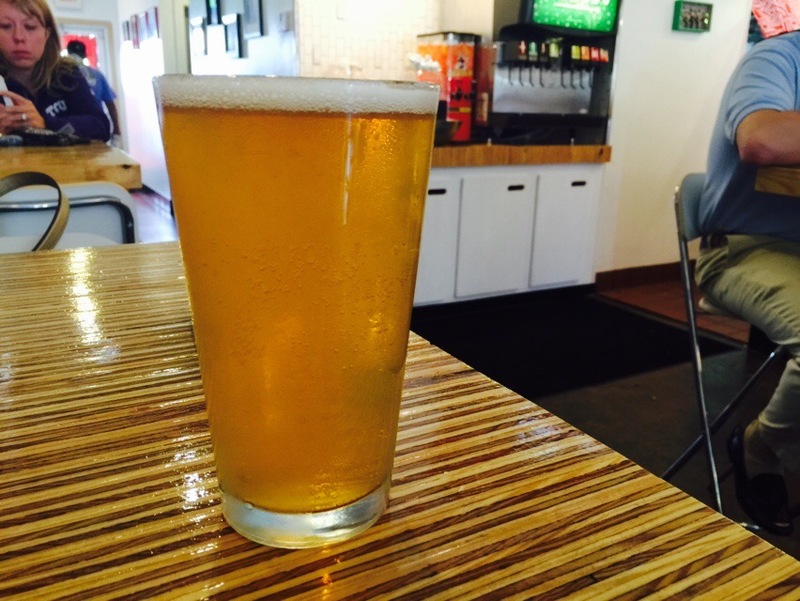 The Karbach Staycation had a light and slightly citrusy flavor that made it very refreshing. The good thing is that on the backend it had a slight hop finish so that you were still reminded “hey I light be slight, but I’m still a craft beer dammit”. I admit I’m assuming that’s how the Karbach Staycation would talk. I definitely recommend this for the end of summer. Great bbq/patio/pool beer. Be sure to get it before summer runs out!